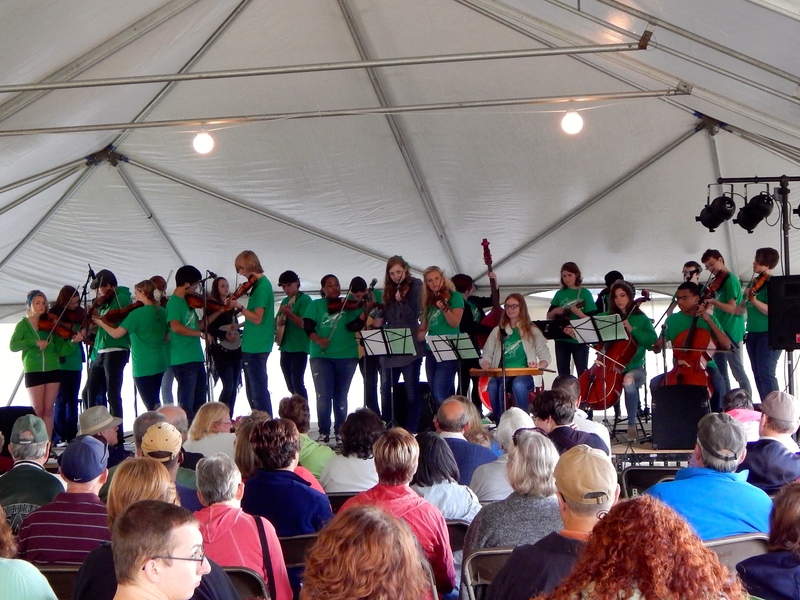 2015 Michigan Irish Music Festival has now come to a close. This weekend the MIMF hosted many bands from Ireland such as The High Kings, We Banjo 3, Slide and to bands from right here here in West Michigan like Moxie Strings, Peat in the Creel, and Crossbow to name a few. The weekend was filled with great music and fun times. 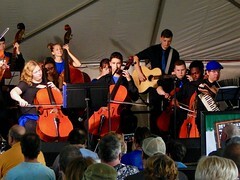 A very BIG Thank You to Michigan Irish Music Festival for inviting the Mona Shores Fiddlers to kick off the last day of the Festival. Its become a tradition the Fiddlers really enjoy. Its wonderful seeing old friends, past MSOPA members, Fiddler/Orchestra alumni and past Mona Shores Fiddle Fest guest bands at the Fiddler Performance. 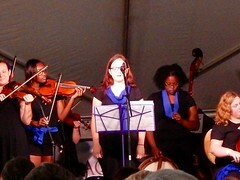 Here are a few pictures from todays performance. more pictures can be viewed on our Flicker Page, a link is on the side of this page or below for mobil users.